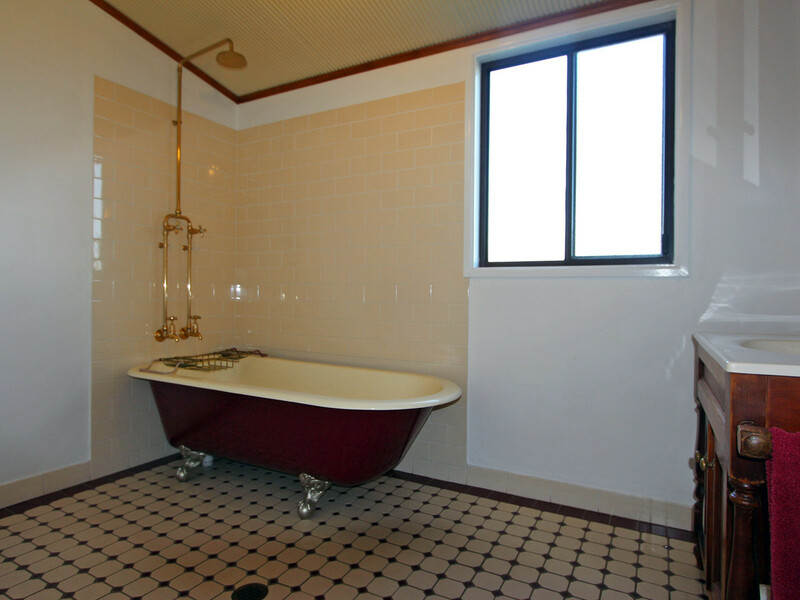 Set on five fertile but easy-care acres at the end of a quiet country lane, this character-filled four bedroom cedar farmhouse has uninterrupted views of the surrounding countryside and is moments by sealed road to the Hunter Expressway taking you direct to Newcastle and Sydney and is only minutes to the vineyards and wineries of Wine Country. 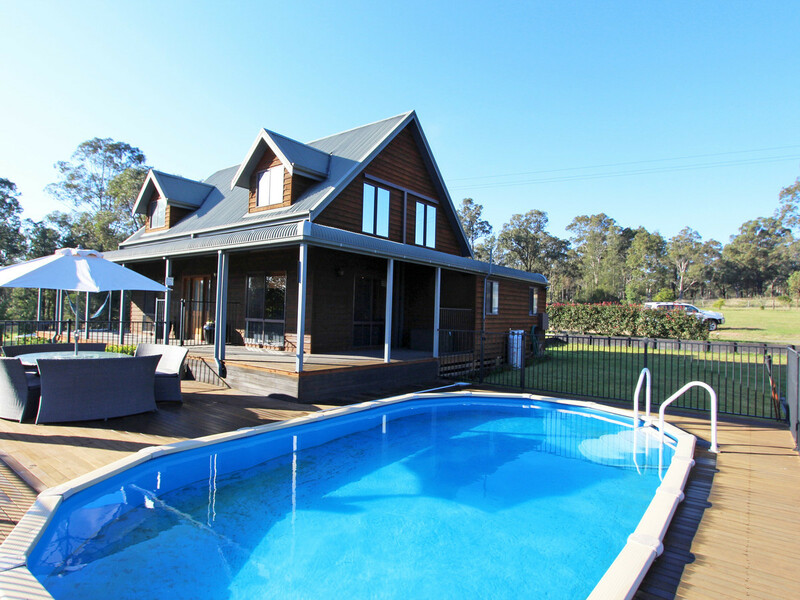 The farmhouse is split over two levels with a country-style timber kitchen and dining room, open plan living space that opens to a large wrap-around decks overlooking the pool and a downstairs bedroom and federation style bathroom with a claw-foot bath. 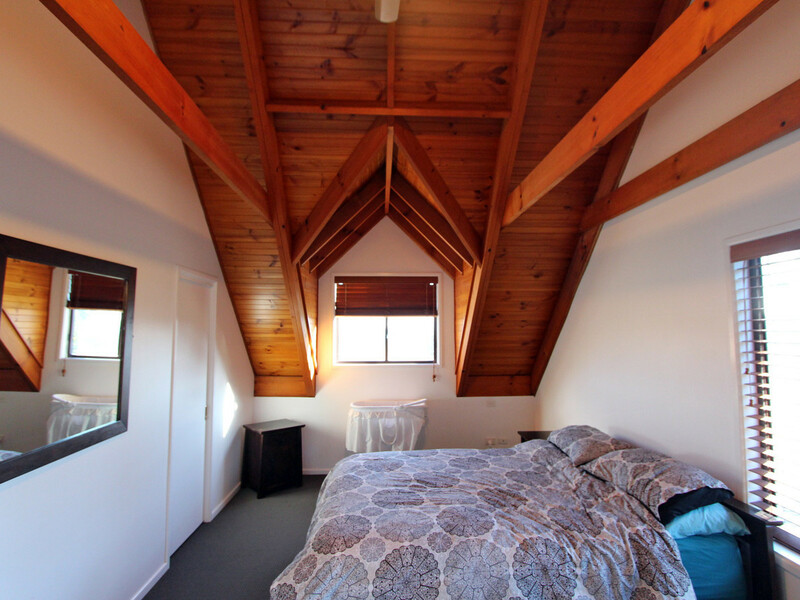 Upstairs, a sun-filled study or second living space sits at the top of the stairs with a large main bedroom with walk-in robe and ensuite and three more good sized bedrooms with timber-lined cathedral ceilings, exposed beams and beautiful dormer windows offering panoramic views. 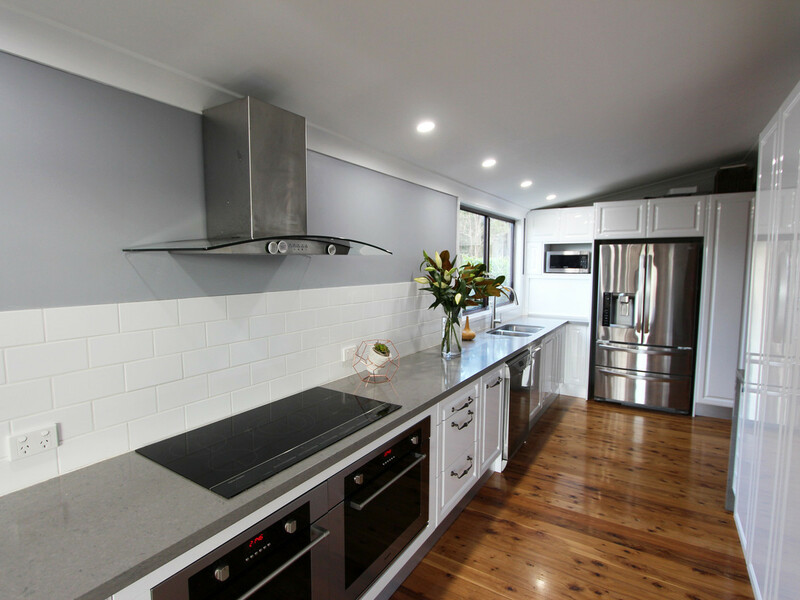 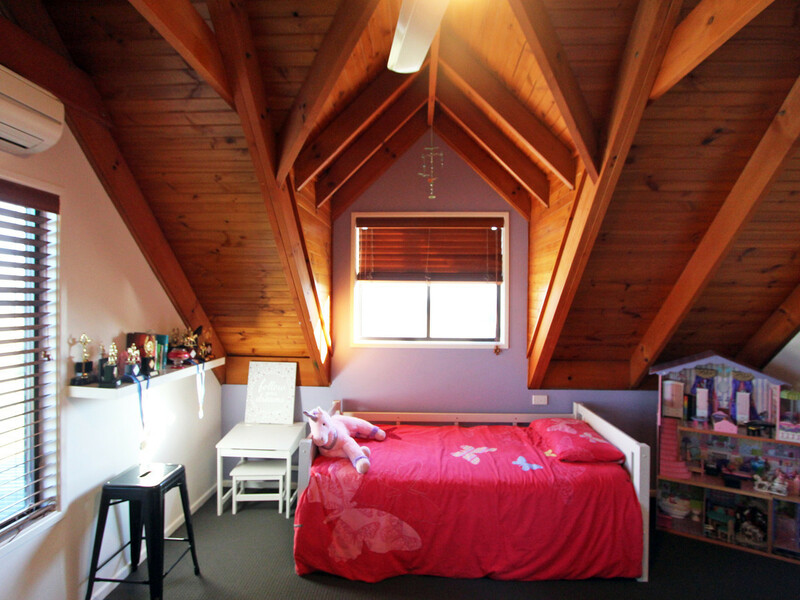 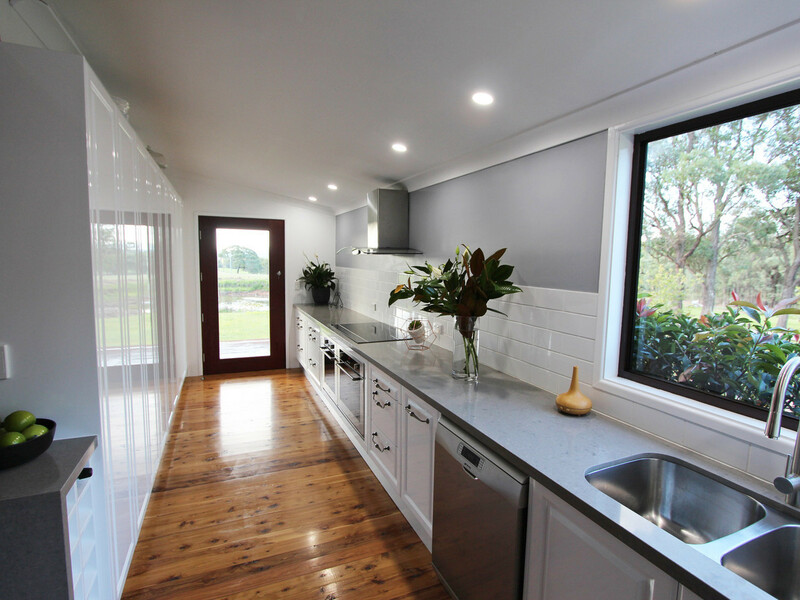 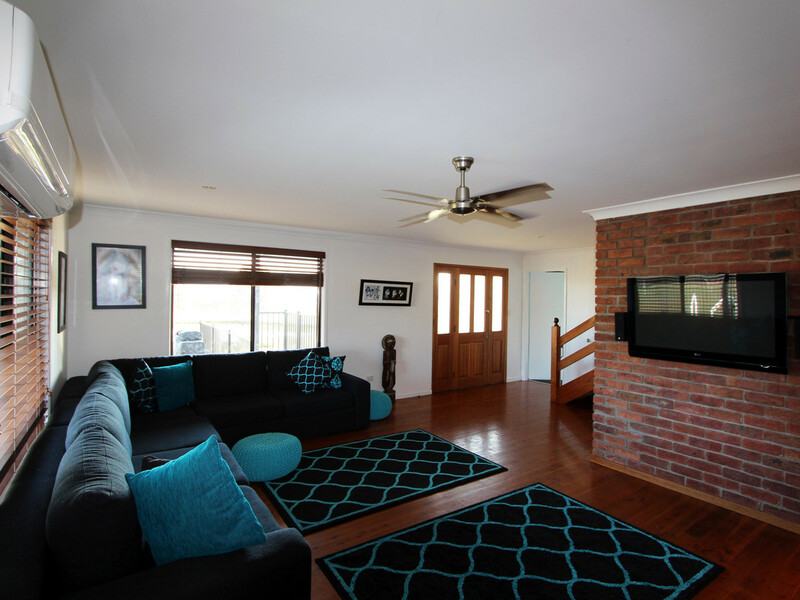 The home features polished timber floors, ceiling fans throughout and is kept comfortable year-round by reverse-cycle air conditioning and wood burning combustion heater. 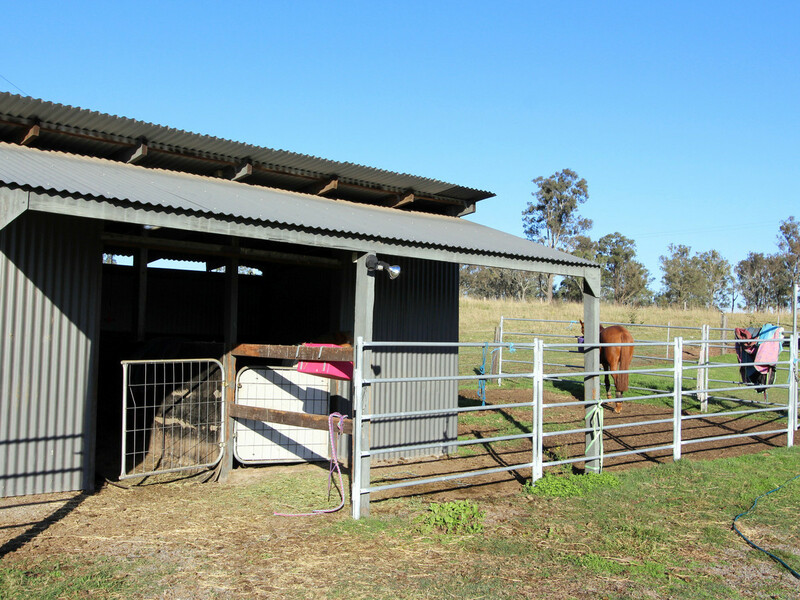 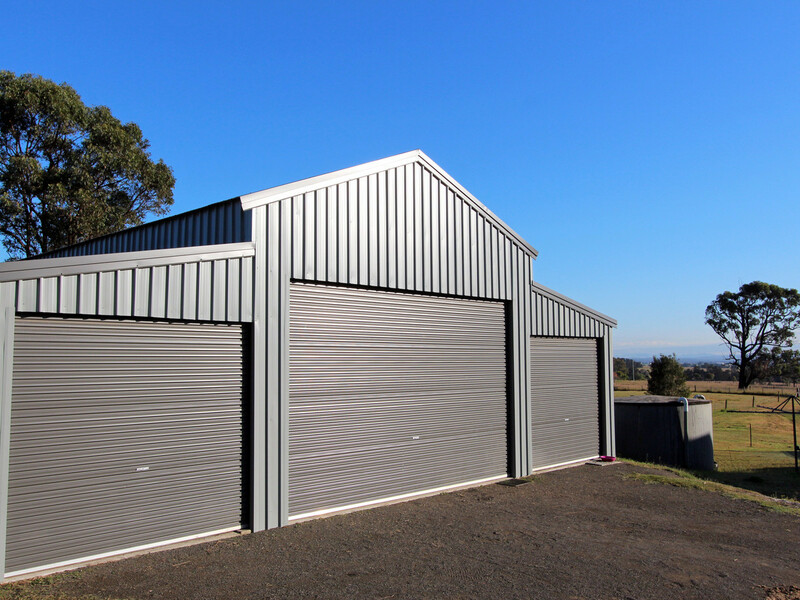 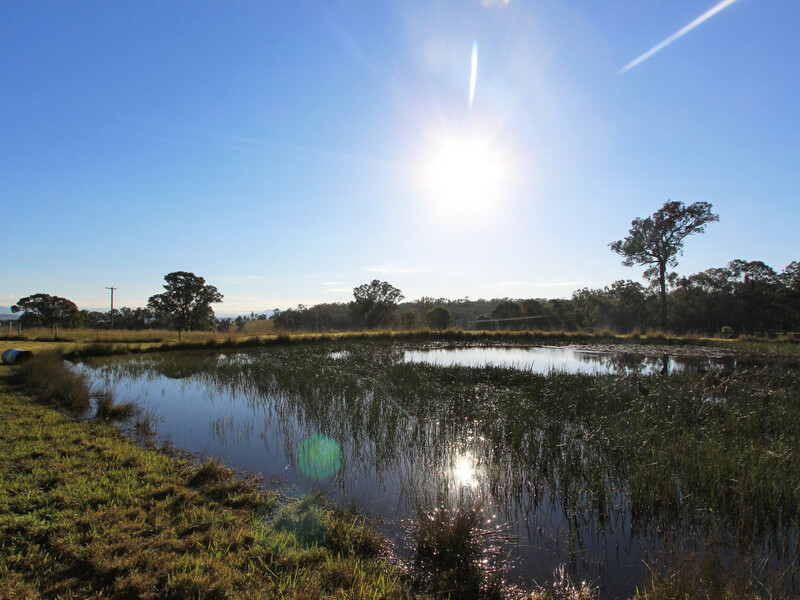 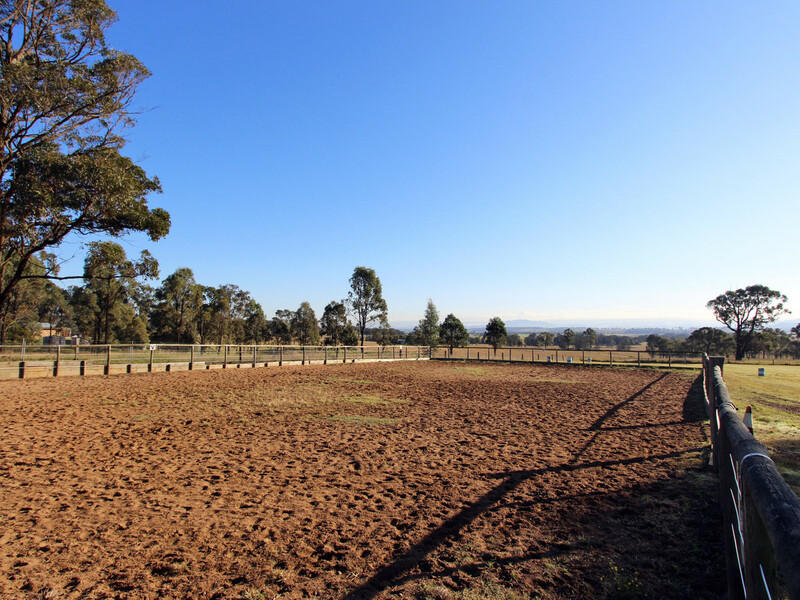 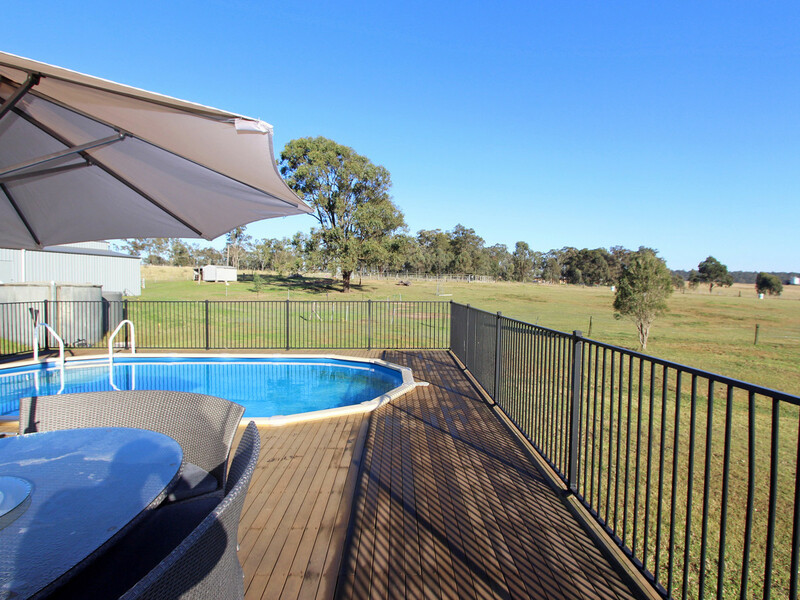 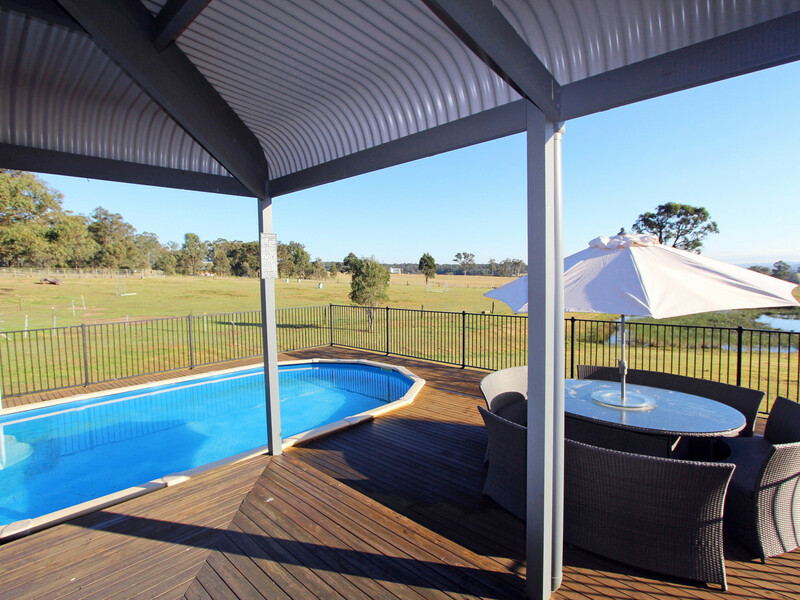 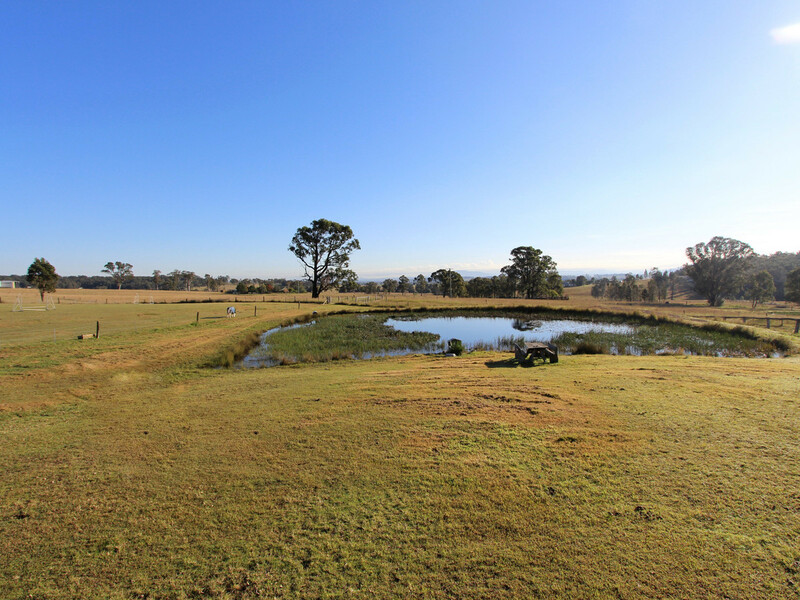 Outside, the property features a massive 200m2 barn with concrete floor and power connected, two quality horse stables with lighting, an Olympic sized dressage arena, a two-storey cubby house for the kids and plentiful water from a large earth dam with underground irrigation throughout the farm. 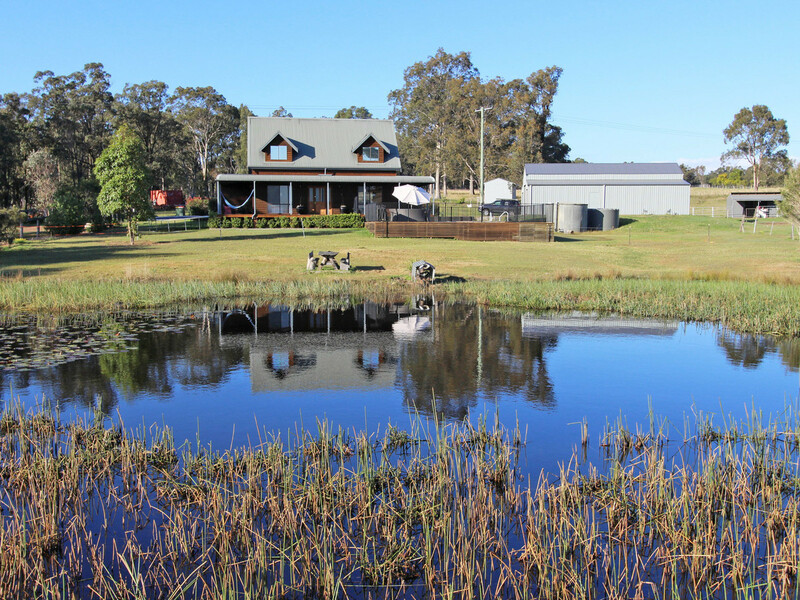 A few majestic eucalypts and established landscaping complete the picture. 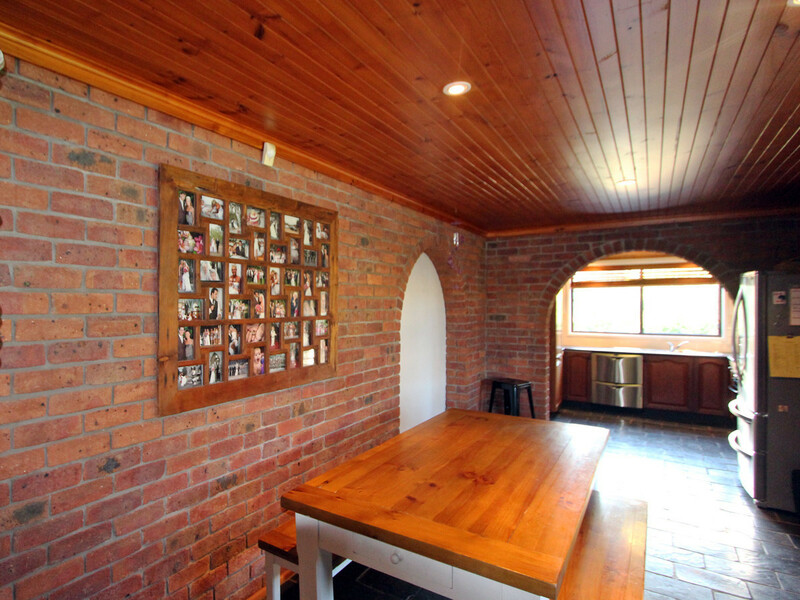 Genuinely offered by motivated vendors, this one won’t last long.